About the Wine: The Panther Creek 2016 De Ponte Vineyard Pinot Noir is made from 100% Pinot Noir grapes harvested from the De Ponte Vineyard located in the Dundee Hills sub-AVA of the Willamette Valley. The wine was aged in 100% French oak barrels (50% new) for 17 months. Flavor Profile: Open the bottle of the Panther Creek 2016 De Ponte Vineyard Pinot Noir, and breathe in aromas reminiscent of purple flowers, dried plums, dried cherries, and oak wood. 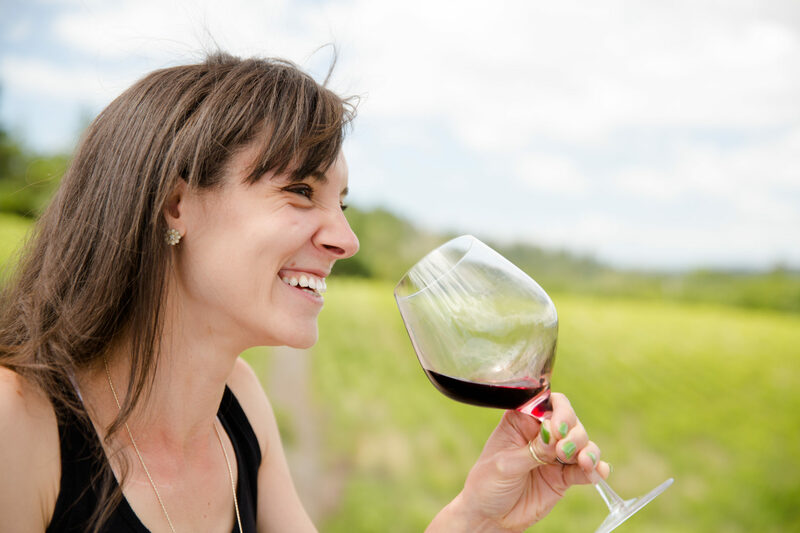 This Pinot Noir presents a light red-violet on the pour, settling into the glass just the same, completely penetrable at its core, and fading out to an even lighter, pretty pink-lavender. Initially the aromas a bit closed off; you can sense the acidity through a tart raspberry-like scent, a hint of oak in the background and an aura of floral perfume. Swirl — and yum! You find hints of milk chocolate, lightly dampened soils, and a fuller, darker berry aroma, reminiscent of juicy boysenberry and marionberry. The perfume is still there, but now it’s part of a complete package. The palate of the Panther Creek 2016 De Ponte Vineyard Pinot Noir is soft, medium bodied. The acidity is, at first, light but working. But through the course of the tasting it elevates gradually until — boom! — flavor. Flavors of soft, damp oak wood, boysenberries, pomegranate, a bit of herbs, and definitely perfume. The finish is spice filled and you’re left with a lingering afterbreath that speaks of those spices. 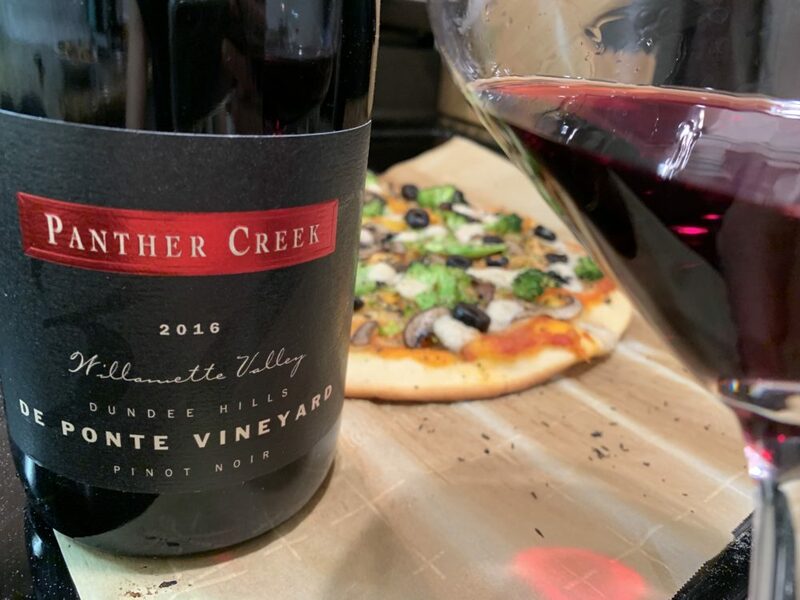 Food Pairing: I paired the Panther Creek 2016 De Ponte Vineyard Pinot Noir with a pizza. Of course pizza and Pinot is an awesome pairing and this is no exception. If you want to be a bit fancy, though, this Pinot Noir, while delicate, could easily pair well with something grilled on the barbie (seafood, burger, what-have-you). Versatile and food-friendly is the name of the game. More Info: I received the Panther Creek 2016 De Ponte Vineyard Pinot Noir as a sample for review. (Cheers Madelaine!) Price: $45. For more information about Panther Creek, their wines, and to purchase wine directly, please visit the Panther Creek Cellars website.